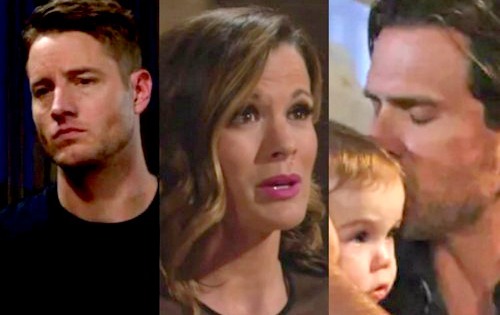 The Young and the Restless Spoilers: Nick FINALLY Learns the Truth, Paternity Bomb Tears Him Apart – See When and How! The Young and the Restless (Y&R) spoilers tease that Chelsea’s (Melissa Claire Egan) mistakes are about to catch up with her. It was probably a bad idea to keep Nick (Joshua Morrow) out of the loop on Christian’s (Jude and Ozzy McGuigen) paternity, but Chelsea was trying to honor Adam’s (Justin Hartley) wishes. At least her heart was in the right place. Unfortunately, Chelsea made more blunders by scamming and making a fierce enemy out of Phyllis (Gina Tognoni). To make matters worse, Chelsea spills the beans to Phyllis in Friday’s episode, February 16. She’ll definitely regret sharing the paternity news once Phyllis starts spreading it! The Young and the Restless spoilers say Phyllis will give Sharon (Sharon Case) updates on the situation. Sharon will be in shock over this paternity bomb. They’ll try to figure out what they can do to protect Nick from deep pain. Chelsea is clearly a lying manipulator who screws up when her back’s against the wall. Sharon and Phyllis will worry that the truth would tear Nick apart. They’ll plot against Chelsea, but can they drag her down without shattering everything Nick believes? Nope! There’s no way Y&R’s going to let Chelsea leave without blowing this up. The Young and the Restless spoilers state that Nick will indeed discover the truth about his sweet boy. His emotions will spiral out of control once he finds out Christian is actually Adam’s son. It’s tough to believe Phyllis, Sharon or Chelsea would make the decision to break Nick’s heart. Instead, Nick may overhear the secret or find some evidence that leads him to that conclusion. He’ll realize that Chelsea’s deception runs deeper than he ever imagined. The Young and the Restless spoilers say we’ll see an epic fight after the shocker comes to light. Chelsea will confess and pour her heart out to Nick. She’ll try to make him understand why she stayed silent for so long. Y&R fans should be prepared for Nick’s fury. It looks like Nick will finally learn the truth on February 28. Mark that date on your calendar because you won’t want to miss this intense episode! Are you ready for this long-awaited moment? We’ll keep you posted as other details emerge. Stick with the CBS soap and don’t forget to check CDL often for the latest Young and the Restless spoilers, updates and news.